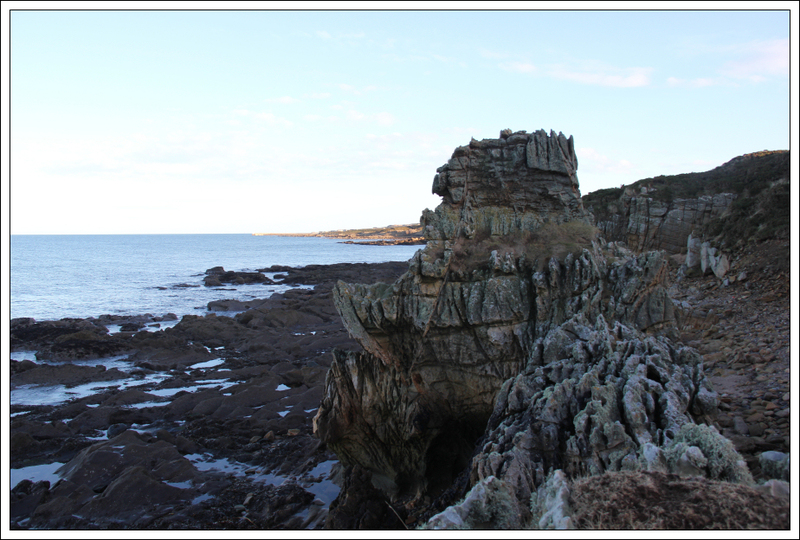 To burn off some of the Christmas excesses, I undertook a short walk today from Hopeman to Burghead and back. 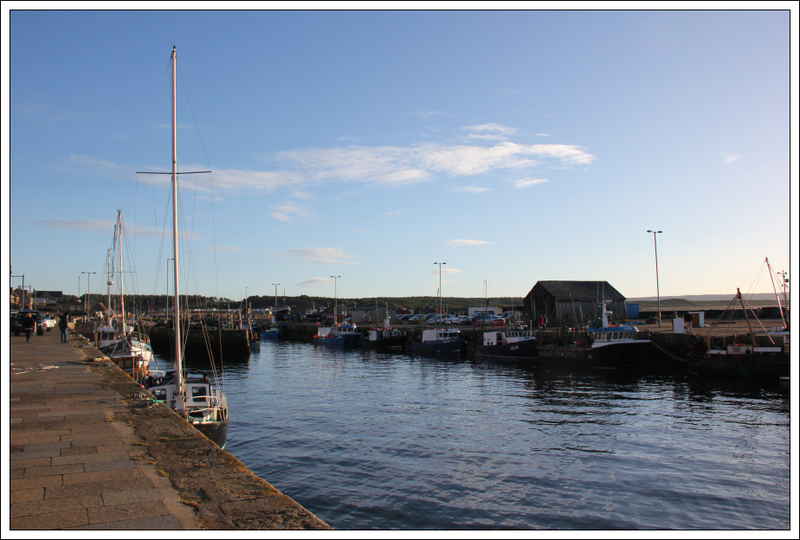 I walked from Hopeman to Burghead along the shore and returned via the Moray Coastal path. 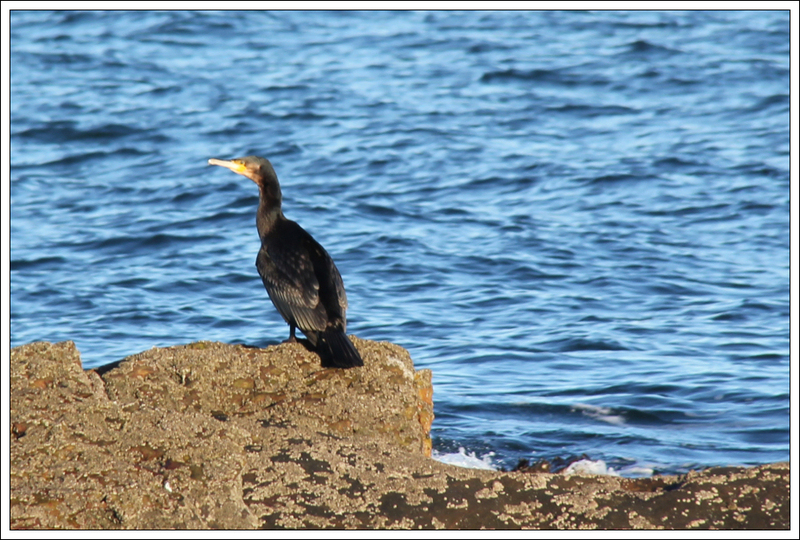 I parked a short distance away from Hopeman harbour. 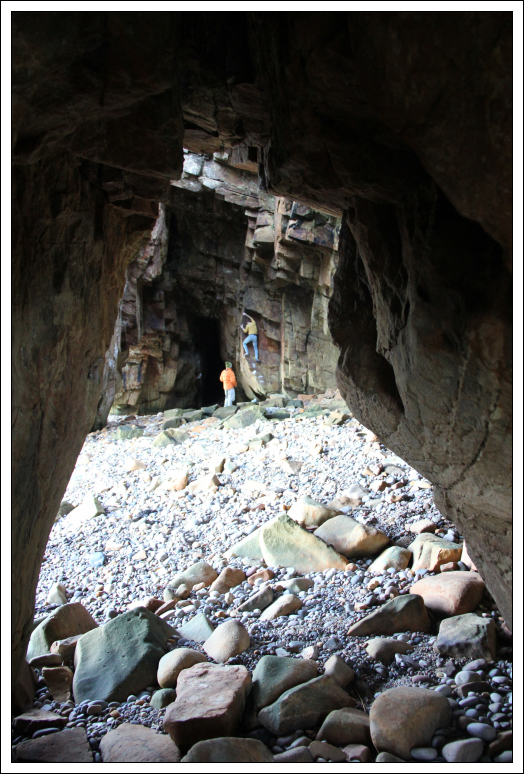 From the harbour, I descended via some large boulders to reach Hopeman West Beach. 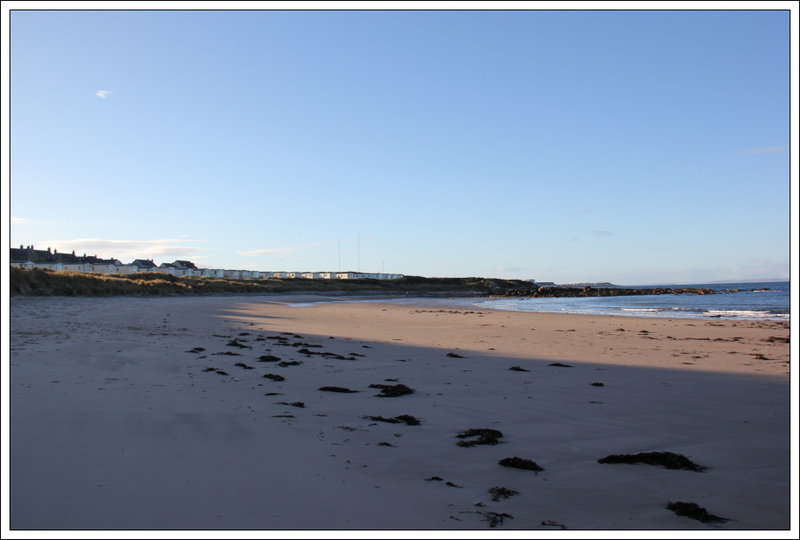 I then walked along the length of the beach. 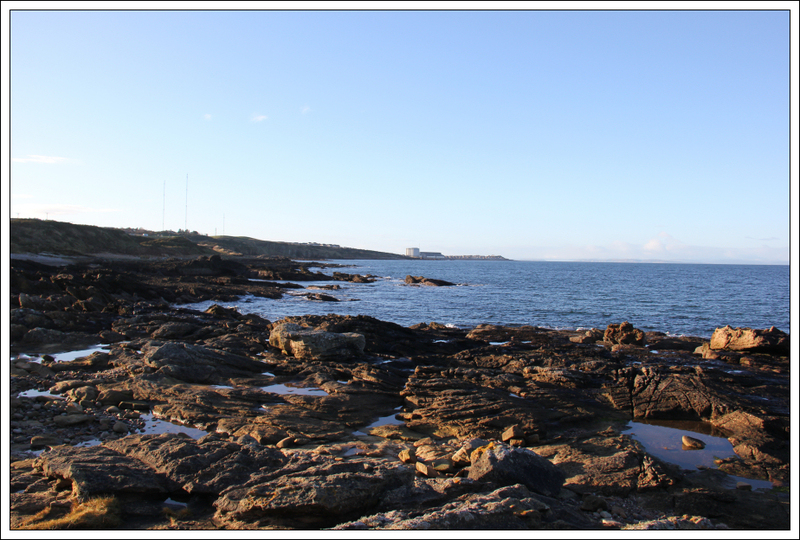 I always enjoy sticking to the shore as much as possible whilst undertaking coastal walks. 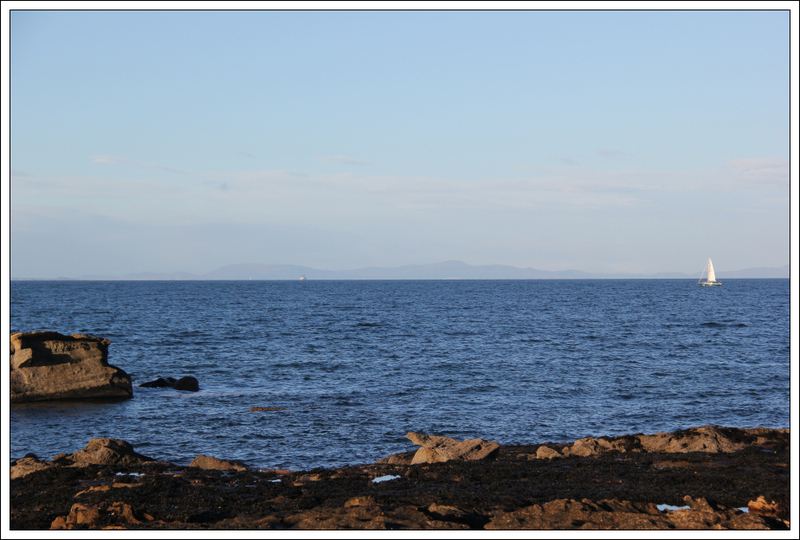 Today, the walk along the shore was excellent. 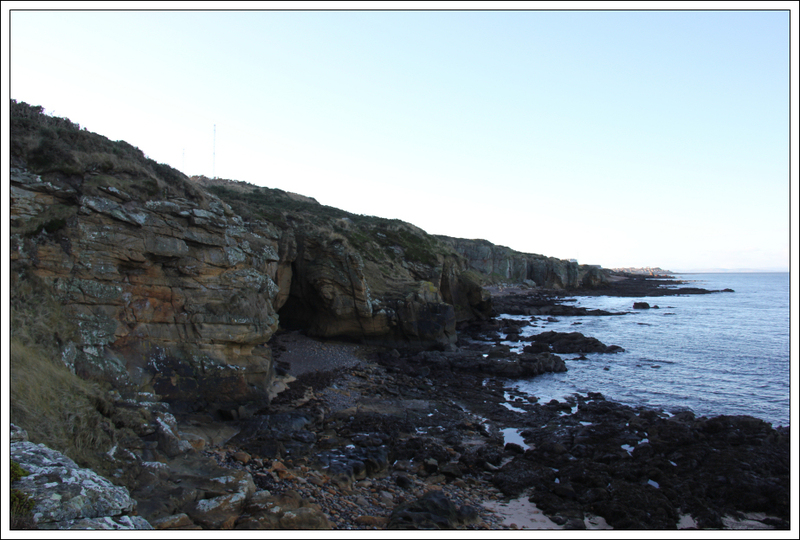 The return via the coastal path was dull in comparison - walking along an old railway line may provide easy walking but views are minimal owing to the large banks either side of the path. 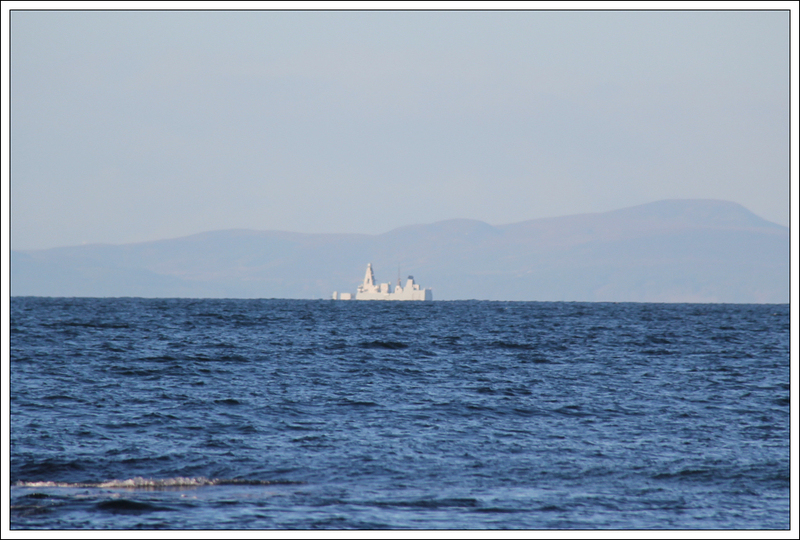 While walking along the beach I spotted an unusual-looking ship far out in the Moray Firth. I have no idea what kind of ship this is. 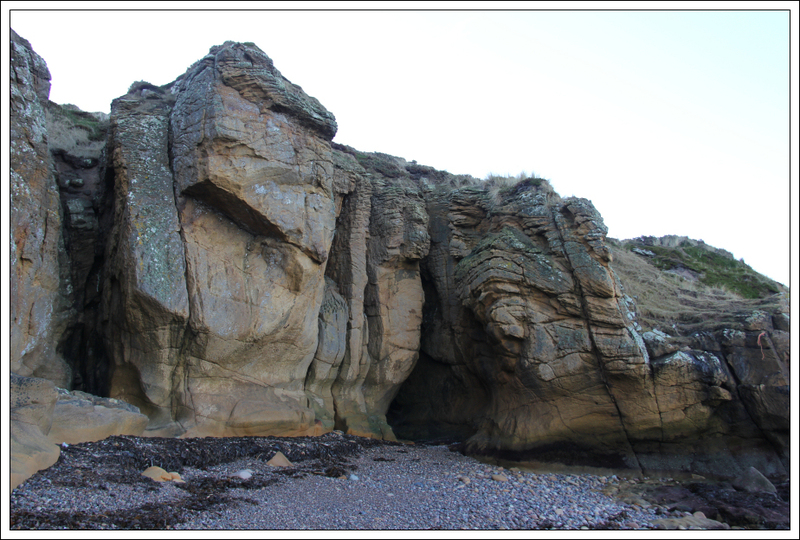 Beyond the beach, I walked across lots of sculpted sandstone rock. 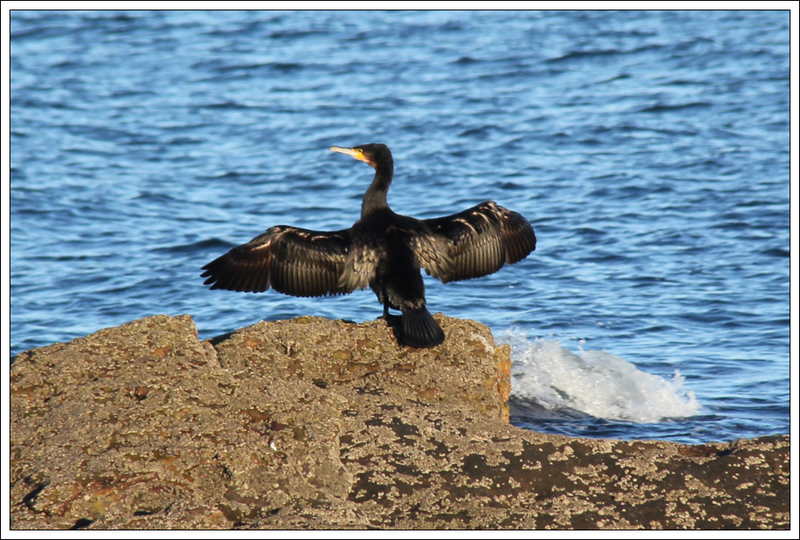 While walking this section of coast, I stopped to photograph a solitary cormorant that was happy to pose for the camera. 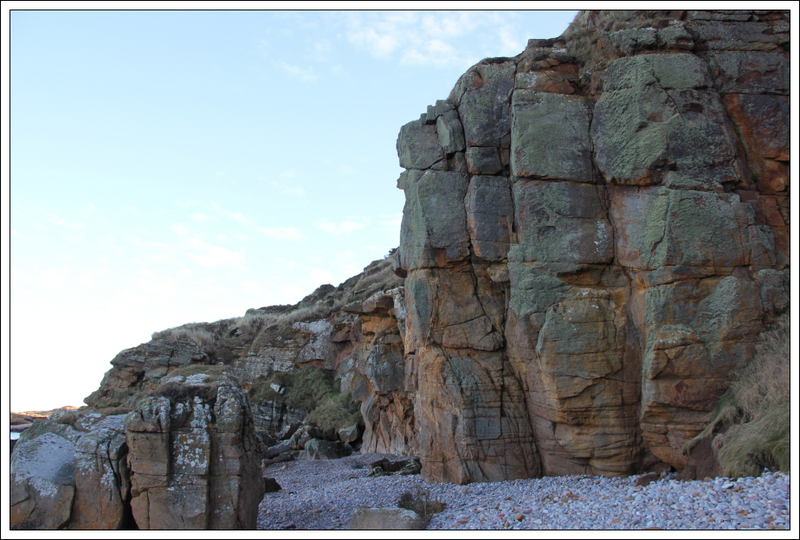 It was nice to visit the Gutbuster bay area of Cummingston crag. 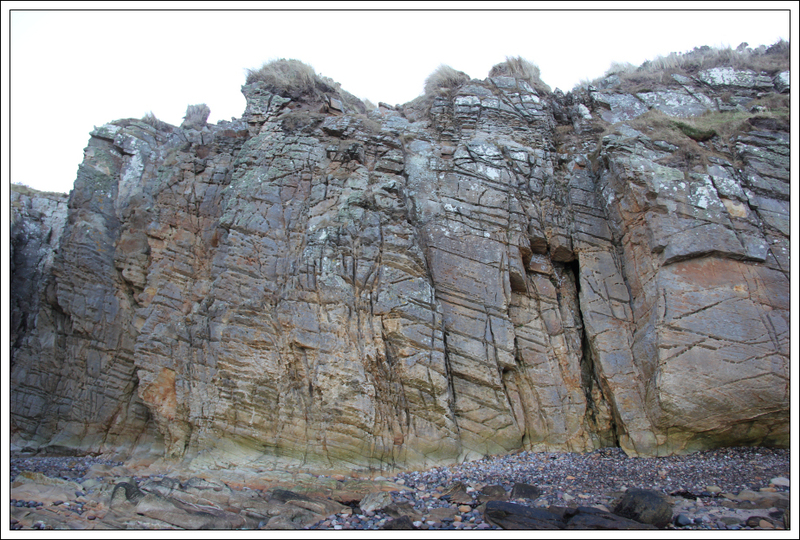 I have climbed at Cummingston several times previously but have not visited the Gutbuster bay area. Beyond Gutbuster bay was the only section of shore that I could not traverse as the sea meets rock. 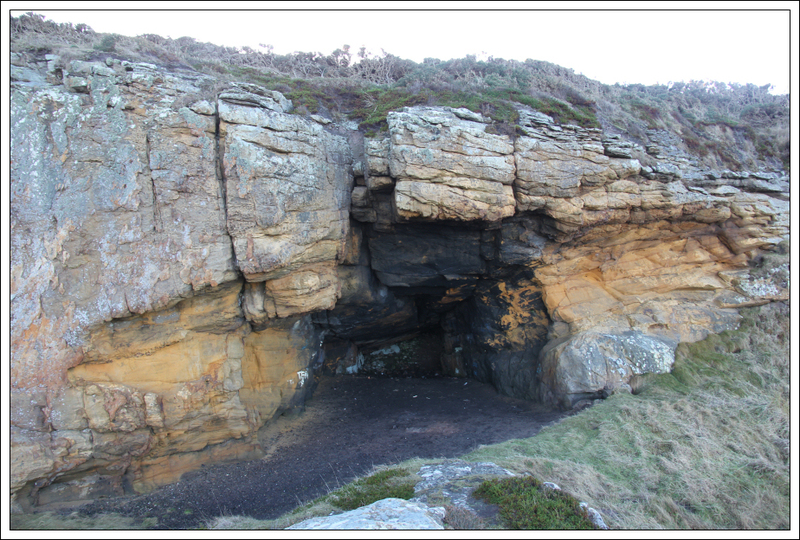 Instead, I walked up through a small tunnel which took me onto the Moray Coastal path. 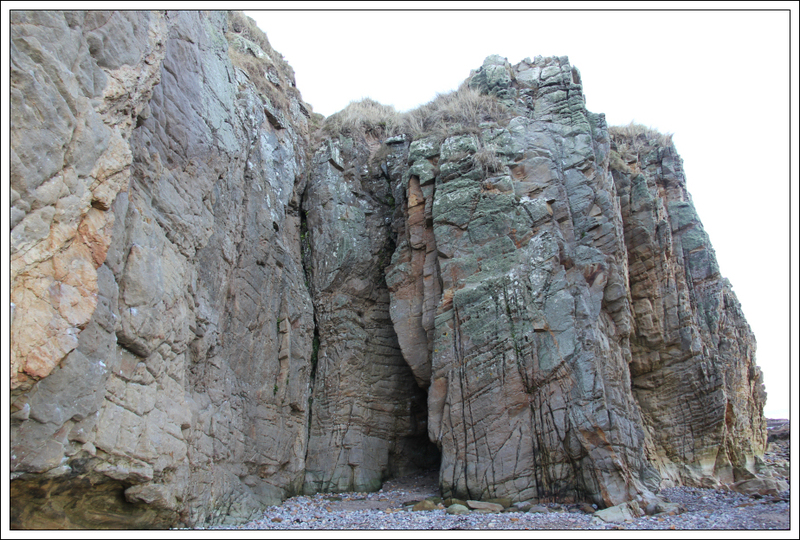 I walked along the coastal path for a minute or so before returning back down to the shore via the normal descent route to reach Cummingston crag. 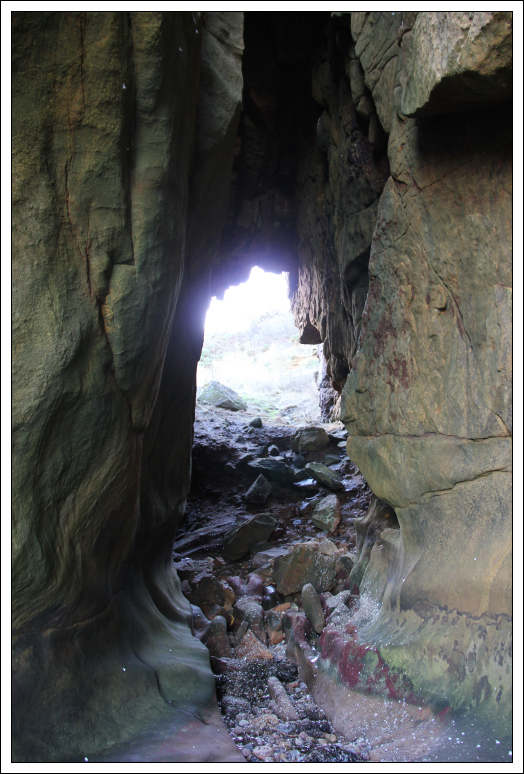 I then backtracked along the shore to the Prophet Walls area. The stacks area was fairly familiar. I have previously climbed to the top of the stack. 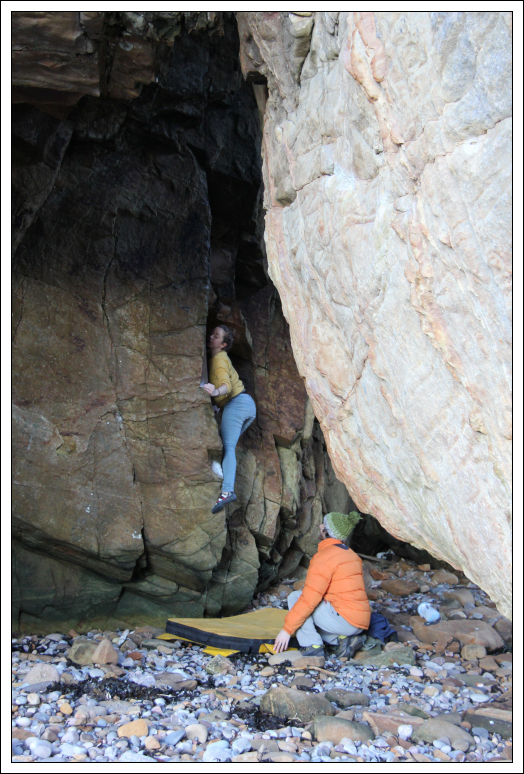 It was a bit disappointing not to see anyone out climbing today as it was such a nice day. 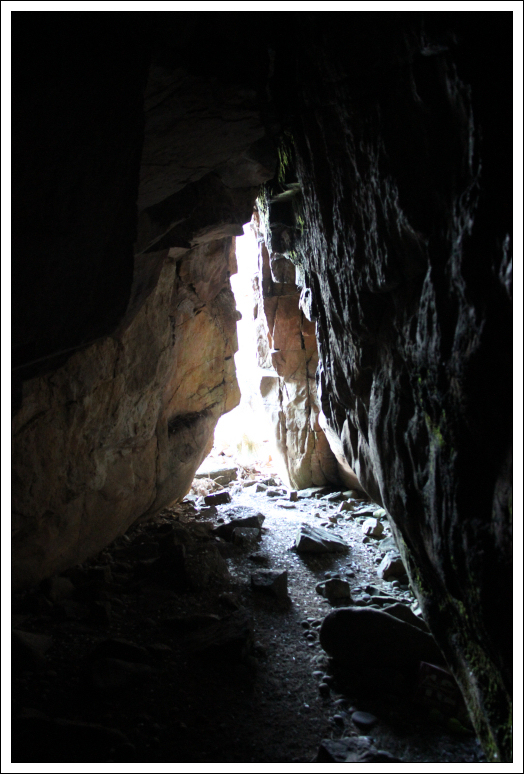 Only two people were at the crag, bouldering inside the Cave. 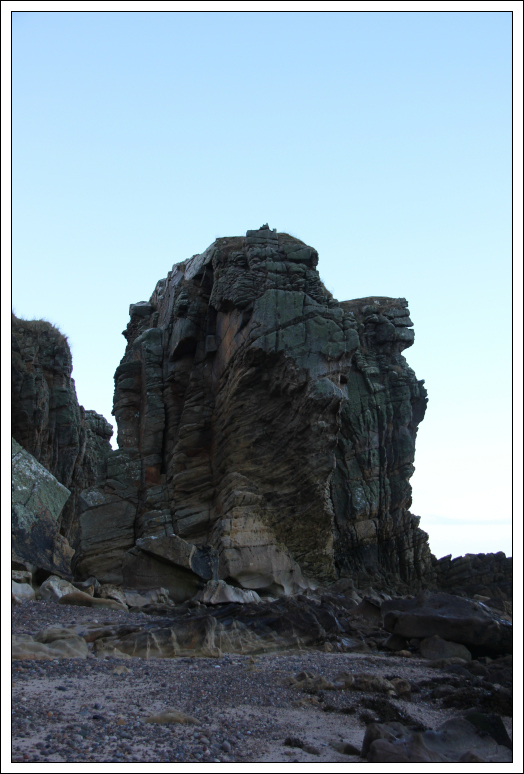 Beyond the crag, I passed a couple of small stacks. 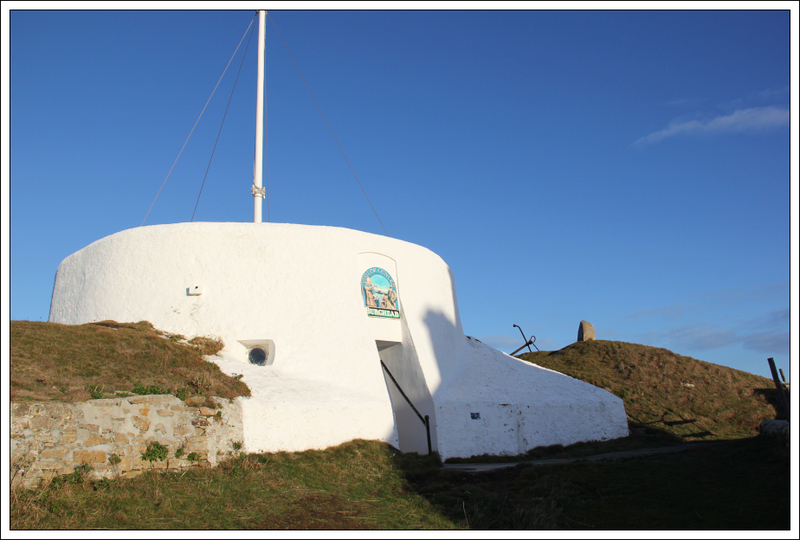 The second one was very easy to summit; not much more than a walk to the top. 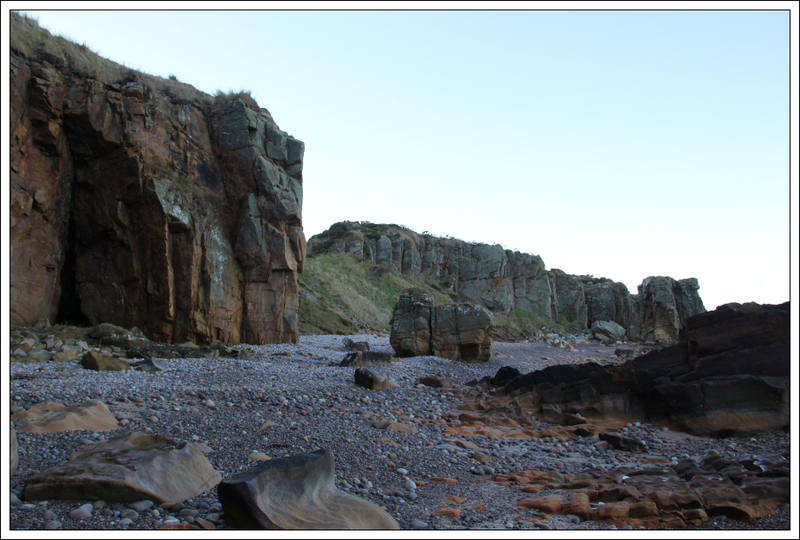 I then continued along the pebble beach until a few hundred metres away from a really large, really ugly building. 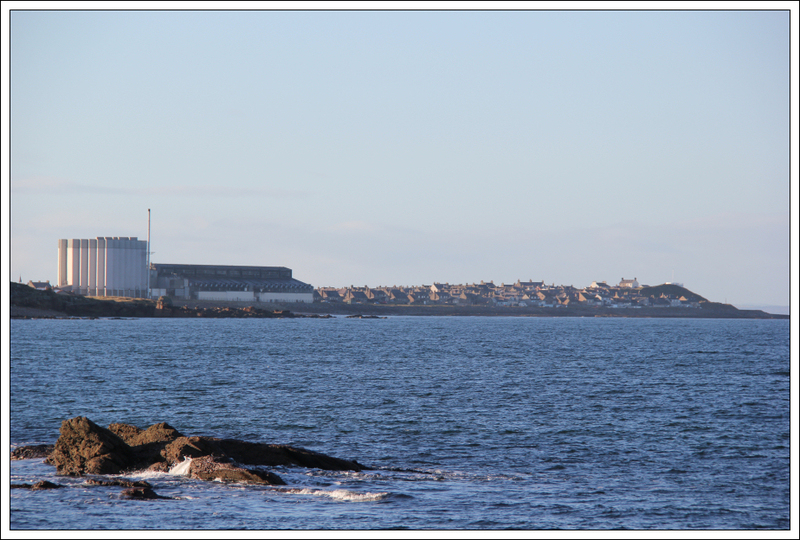 Most distillery buildings in Scotland I have come across are nice. 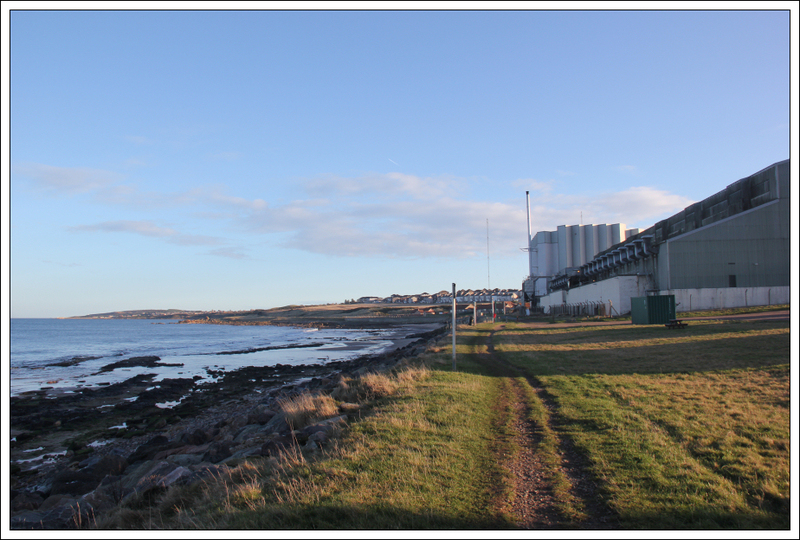 The Diageo Burghead Maltings building is an eyesore. 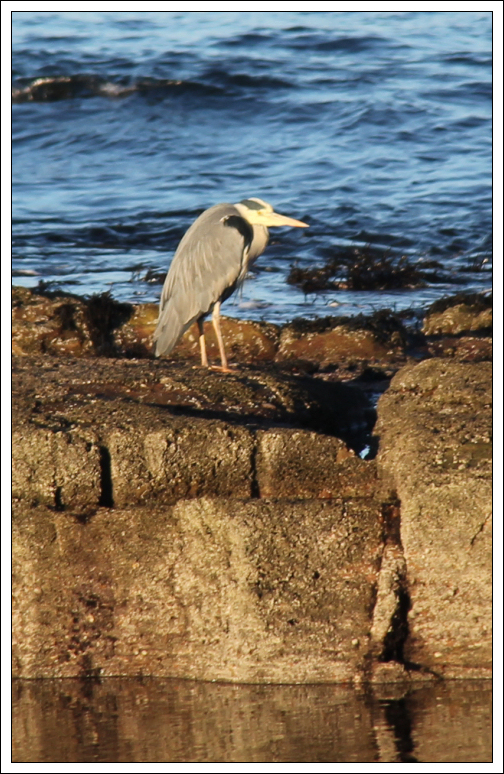 Beyond the Maltings building, I continued just above the shore passing a sign and a Grey Heron. 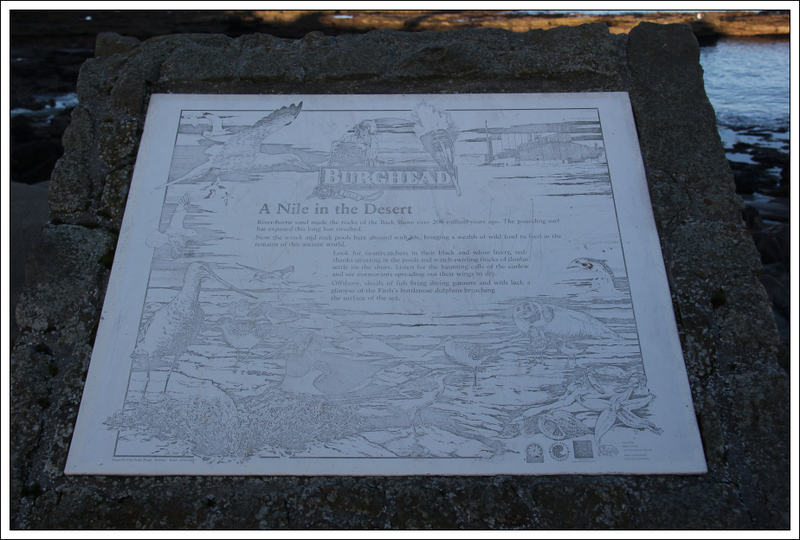 I then ascended a grass bank to reach the Burghead visitor centre before descending to Burghead harbour. 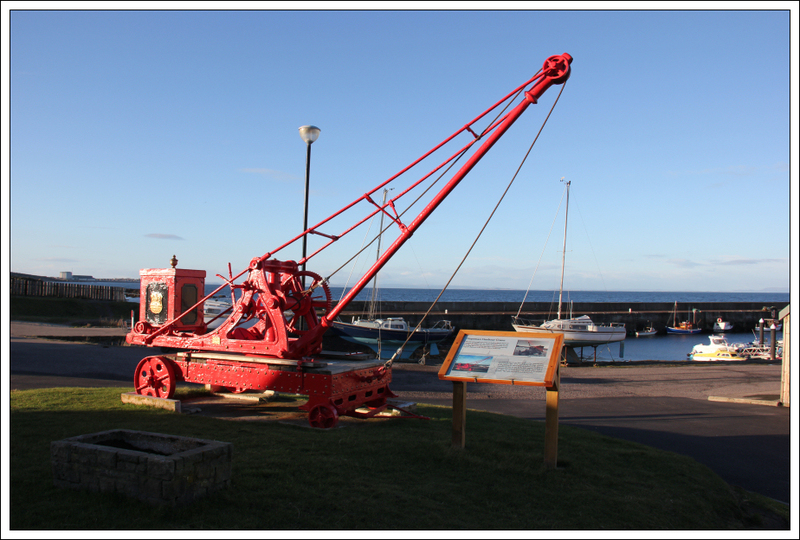 There was music playing in the harbour area and a good number of people standing about outside. 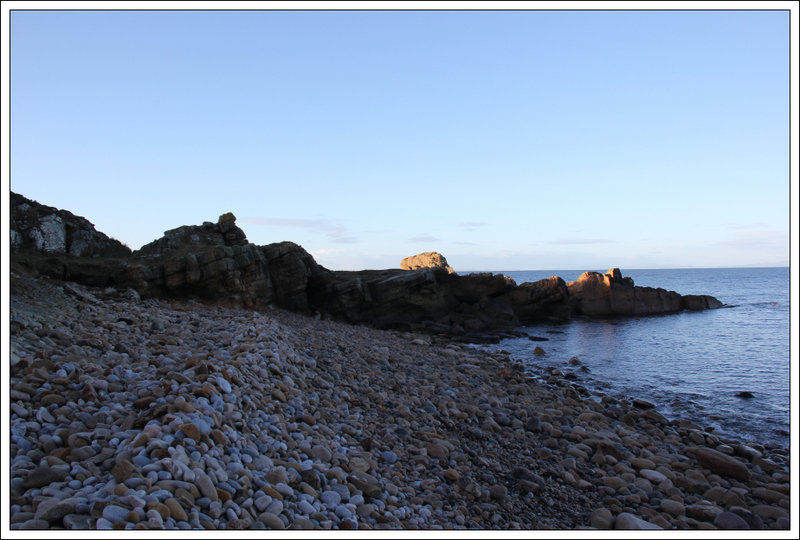 I returned to Hopeman via the coastal path. A nice short day out.